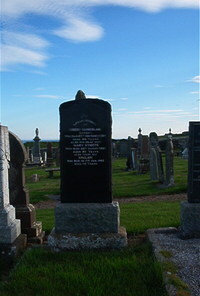 Robert Sutherland of Mavsey died 21st November 1909 aged 46. Wife Mary Hymers died 28th August 1951 aged 85. Son Sinclair Sutherland died 2nd January 1962 aged 66.